Social media is one of the more popular methods used for law firm marketing. However, it’s not always an area that produces instant results. And lawyers have another serious consideration: the ethics in the jurisdiction(s) where they’re admitted to practice. Do lawyers have to start from scratch? How can a law firm survive and thrive on social media? The good news is that lawyers (including solos, small and midsized practices) do not have to start from scratch when it comes to law firm marketing via social media. If, like many lawyers, you like to look to precedent, there are several law firms that have a successful social media presence for their practices.In this article, we’ll point you to three different social media profiles (belonging to law firms) for your review.For each, we’ll explain what it is that makes their social media presence work and why they’re rocking social marketing. Allens is an international law firm that understands how to use social media as a law firm marketing tool. When you visit their Twitter profile, you’ll notice that tweet every day. They make great use of mentions, images, and also have a header on their profile that matches their website. This is an important branding element that ensures consistency and name recognition for your firm across the entire Internet. The firm tweets about conventions they attended, law firm strategy, and they have their own tag that they use to discuss their startup bootcamp (to reach their target market). Engagement is a big deal on Twitter (and every other social media platform). Allens also makes liberal use of the ability to “like” responses on Twitter. They like comments related to their personal hashtag and for conventions and conferences they sponsored or were part of. Liking tweets is an essential practice. It helps show that the Twitter account is active and that the business cares about those who want to talk with them. Your potential clients have more choice than ever before. To stand out, make sure that you’re taking some simple actions, such as liking tweets or even replying, to show others that’re listening. Honestly, the most important law firm marketing tip we can give (beyond just social media) is to provide valuable content. The tweets, Facebook updates, and Instagram posts you make should primarily be those that your followers (and your target market…because you’re going to get fake followers at some point – it happens to all of us) will find valuable. Answer your audience’s questions. Provide the information and insights they’re looking for. Think about it: Why do you follow the accounts you follow? Sure, there are some people and businesses who will follow back anyone who follows them. Instead, think about the social profiles you enjoy. Are they constant “call now” sales pitches… or do they truly inform, or inspire you? Do they give you information you want?Do they provide a fresh perspective? Do they make you laugh or smile? One good example is Zavieh Law. Megan Zavieh is an ethics defense lawyer. Her Twitter page answers the most commonly asked questions that lawyers have when it comes to defending against a bar complaint. Her outbound blog links take visitors to her webpage, but there is still very little hard selling that goes on. She also shares out her podcast as well as helpful information from other sources that her target audience would find beneficial. You may have noticed that our first two case studies focused on Twitter. Twitter is a great social network. Facebook can be great too, as well as LinkedIn and Instagram. The key, however, is to choose the social media platform(s) where your target audience is most likely to be. Pushor Mitchel LLP is a Canadian law firm that makes extensive use of LinkedIn. They have a business profile. More than 75 of their employees link to their LinkedIn profile. Most importantly, they share blog posts to their profile every couple of weeks. They also provide links to previously published newsletters. While Pushor Mitchell may not always create unique content for the platform, they are ensuring that those connecting with them have an easy way to get to the helpful information they’ve already provided. This is a bit of a more advanced topic, but we’ll go ahead and throw it in here for the purposes of law firm marketing. There are a lot of law firms on Facebook. Facebook is a great platform, but it’s notorious for limiting the reach of any business page. Their goal is to get you to pay them so that you can reach your target market. However, that does not mean that you should just throw money at them. It’s not as simple as creating a Facebook ad and Facebook sending it out to the eyes of thousands or hundreds of thousands of people. You must understand exactly who you’re trying to reach. Think in terms of demographics: their age, where they live, the other Facebook pages they may like, and their interests. Those are just a few of the options you’ll have when it comes to reaching your potential market and even growing your page. Another important concept is using Facebook Live to grow your client base. However, you can’t use it just to say you use it. It must be well thought out as part of your law firm marketing plan. You must be consistent and you must choose the right time to use the service. reach out to us! We’d like to help you make the very most out of your social media experience. 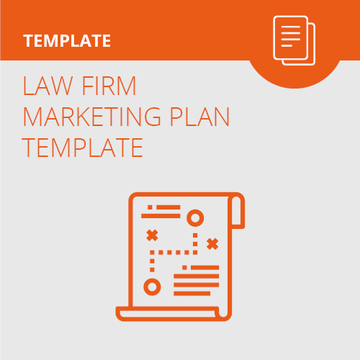 Struggling with your firm’s marketing plan? 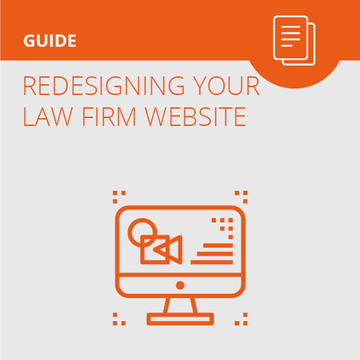 In our eBook we’ll show you how to develop and execute a killer marketing plan for your law firm. If in the past, your firm’s marketing plan has been lacking structure or strategy–this eBook is for you.